A little while ago I decided to try out using an old film camera and used an ilford B&W film. After being developed I had a look through the photos and thought I'd post a few of them. The first collection is of the girls and none of these has been edited just cropped square. It's a shame Mia didn't have her eyes open on this one. I still think it's a beautiful photo. I think the fact that it's in black & white means she stands out against what would be a bust background. I love this photo of the girls together. If you look closely you'll notice that Mia has her arm linked around Aly's. I'm not sure what sort of pose Aly is trying to pull here. Mia sitting quietly at Aly's party, I don't remember taking this photo. She looks like she's in her own little World. Knowing Mia is was waiting for cake or some form of food. Again Aly going for a random pose, it almost says to me...I give up just take the picture. It also looks like she's about to start giggling. The final photo is underexposed but there is something about it that I like. The way the light falls and the natural feel to the photo. She had no idea I was taking it and at the time she was working on some school work. 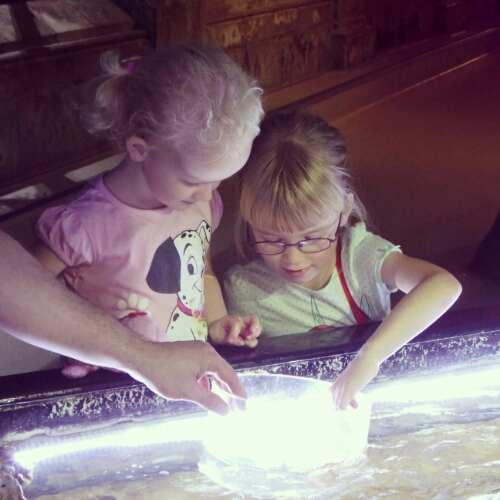 As a little treat for the girls we were invited by the wonderful people at the Sea Life Centre Brighton to come and visit them and to enjoy the special Octonauts event. So to make it a little bit more of an adventure we headed down on the train to Brighton station which is only a 10 - 15 min walk and it also has the advantage that you get to walk along the wonderful seafront and head past the iconic Brighton pier. The Sea Life Centre is located just across the road from the pier and is easy to find and as you head down the steps to the entrance you can see straight away that their is an Octonauts event going on from the posters and signs. As it was a Sunday we expected to be queuing for ages but it was just and easy. This Sea Life Centre is actually underground and this allows lots and lots of the original features to still exist and this means that it's a lot more visually appealing. 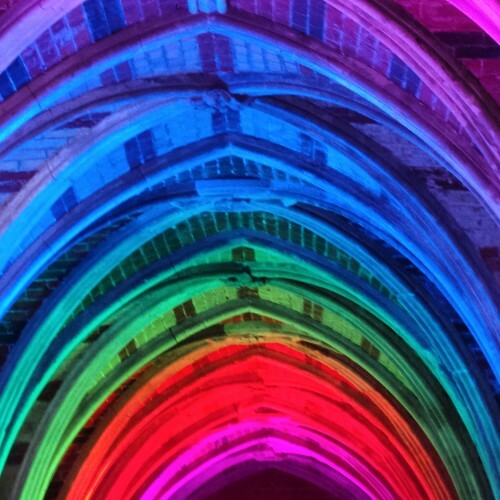 When you walk into the main room make sure you look up as you'll see the archways all lit up in different colours and this is a great feature. As there was an Octonauts event on they had various things for the children to so such as an activity sheet to complete where they had to find clues and answers around the centre. During the course of the day they also had meet and greets with the characters. The girls also loved going on the glass bottom boat and seeing the sharks and turtles so close to them. Also to my surprise they also stepped up to touch the starfish and kept going back for more. Over the course of the day they also have various talks and demonstrations at the main tank which is always good fun and educational. Back in the main room you'll also see a little arts & crafts section where the children can create a little something to display or take home. Just next to the crafts section is a little cafe where we had sandwiches and drinks which was only came to £14 and I was expecting it to be double that especially with the snacks too. Sea Life Centre Brighton is well worth a visit and make a day of it by visiting the historic Brighton pier and grab some fish n chips by the sea. We received entrance tickets for the purpose of this review, all thoughts and opinions are our own. Just before Easter our little family headed off to Coombe Mill to enjoy a family break and while we were down that way we headed to Padstow...a place we had never been before. Wow what an amazingly beautiful place it is, if you've never been before I suggest you head that way. It's difficult to put in to words how beautiful it is. From the moment you arrive you get a smell from the fish n chips and that draws you in straight away. Even though we visited while it was the school holidays it wasn't busy while kind of surprised us. This is one of the first scenes you are greeted with...the Padstow harbour. We spent the most part of the day there, starting with having a walk around the shops and enjoying the weather. We also headed off and had something to eat and we managed to find somewhere that sold something other than a fish n chips. After lunch we walked to the beach expecting it to be busy but what we were greeted with was just the perfect empty sandy beach. The girls don't get to see sandy beaches very often so for the next few hours they made the most of it. Like all good parent's we might not have been totally prepared but it didn't stop the girls and with the removal of their boots they went paddling in the sea wearing their tights. Of course no trip to the seaside is complete without an ice cream and when in Padstow the ice cream has to be real Cornish ice cream.